15 years of progress for the river! 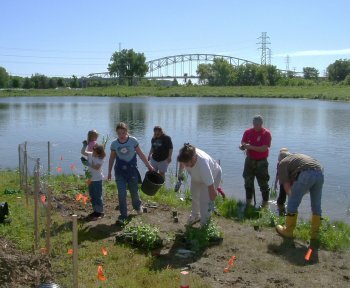 Volunteers restore native shoreline plants at Hastings River Flats Park. Since 1993, FMR has worked with approximately 26,000 volunteers who have contributed over 250,000 hours of their valuable time to reach shared goals around river and watershed protection. FMRs land conservation work over the last decade has led to the permanent protection of 849 acres in the Twin Cities region, and another 2,288 acres are currently in the process of being protected. In 2006, FMR launched the Stream Health Evaluation Program in the Rice Creek Watershed District, an innovative model for water quality monitoring that connects volunteers to their communitys water resources and to their local decision-makers. Since we began tracking them in 1999, FMRs media impressions total more than 89.4 million  significantly furthering our goal to raise awareness of the Mississippi River as a community asset! 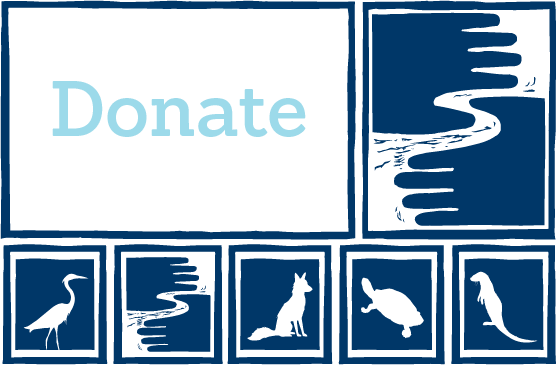 FMRs Mississippi River Challenge, now in its fifth year, has engaged over 1,100 participants who have raised $312,452 to support FMRs river and watershed protection work. Working with a range of stakeholders, in 1998 FMR provided leadership to found the Metro Greenways Program at the Department of Natural Resources and successfully lobbied for its initial $4 million of state funding. In 2000, FMR started the Gorge Stewards Project in partnership with the Longfellow Community Council. Now in nine neighborhoods on both sides of the gorge, over 3,200 local residents have contributed more than 8,780 hours to enhance and restore this beautiful park and we have exported the citizen stewardship model to three areas in Dakota County. Since the mid 1990s, FMR has actively participated in discussions and plans related to the Mississippi River in Minneapolis north of Saint Anthony Falls. In 2004, FMR led a public process that developed the Upper Harbor Terminal Redevelopment Plan to turn an industrial area into an expansive riverside park and a new neighborhood adjacent to the river. Since 1999, FMR has restored 740 acres in the region to healthy natural communities, with another 353 acres currently being restored, and an additional 5,146 acres in future restoration projects planned. In 2002, FMR led a coalition to pass Dakota Countys $20 million Farmland & Natural Areas Program referendum, which to date has resulted in over 6,245 acres of farmland and natural areas in the county permanently protected. 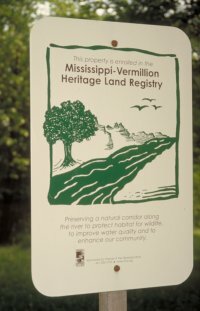 In 2006 and 2007, FMR launched two citizen-based campaigns for stronger water quality measures that resulted in the passing of the Vermillion River Watershed Standards and the Rice Creek Rules and ushered in a new era of watershed management in the region. Our Storm Drain Stenciling project has brought the message of river protection to streets across the metro. 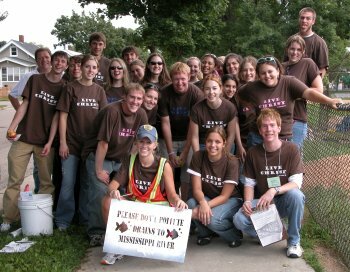 Begun in 1998, FMRs Storm Drain Stenciling Project has involved 20,096 volunteers who have contributed 189,298 hours to stencil 43,340 drains with the message Please Dont Pollute  Drains To River! and distribute 140,413 educational doorhangers promoting watershed stewardship. FMRs leadership resulted in the collaborative development of a comprehensive Mississippi River Greenway Strategic Plan, which guides our land protection work and won the 2002 American Society of Landscape Architects Merit Award. FMRs Heritage Land Registry is often the first step in the land protection process, with 56 landowners and 3,040 acres currently enrolled to date. Since 1998, FMR has actively worked to protect and restore the beautiful Pine Bend Bluffs Natural Area; restoring hundreds of acres in partnership with Macalester College, Flint Hills Resources, the DNR and other landowners, permanently protecting the Pine Bend Bluffs Scientific & Natural Area, and winning the 2007 Minnesota Environmental Initiative Award in the Natural Resource Protection Category for our leadership of the Pine Bend Bluffs Natural Area partnership. Landowners in our Heritage Land Registry proudly display this sign on their properties. Since 1998, FMR has fostered a stronger river stewardship ethic by providing an estimated 6,625 community members with the opportunity to participate in over 180 educational and interpretive events. In 2007, after two years of working closely with numerous partners, citizens and neighborhood councils in Saint Paul, FMR saw the proposal for the massive Bridges of Saint Paul development project finally defeated  an affirmation that the many public assets of the river are highly valued by our community. Since 2001, FMR has worked with nearly a dozen landowners to restore over 80 acres of a rare prairie in Dakota County that is home to 13 rare plant and animal species. In 2007, the 76-acre Hastings Sand Coulee Scientific & Natural Area was formally designated, permanently protecting this fragile native landscape.